Storefronts are vulnerable to ram-raids where thieves use a car as a tool to ram break into the shop. Ram-raids have unfortunately become more common in the past year around Australia, but bollards provide a simple and economical solution to the problem. Several shops have already installed bollards to protect their building and goods, including Bicycle Superstore in Maribyrnong and the popular Italian Restaurant, Maccaroni Trattoria Italiana, which is located in Manchester Lane. The bollards disincentivise thieves from the start, but even if the thieves did try to ram a shop protected by bollards, they wouldn’t get far. The bollards are designed to withstand cars driving at speed. 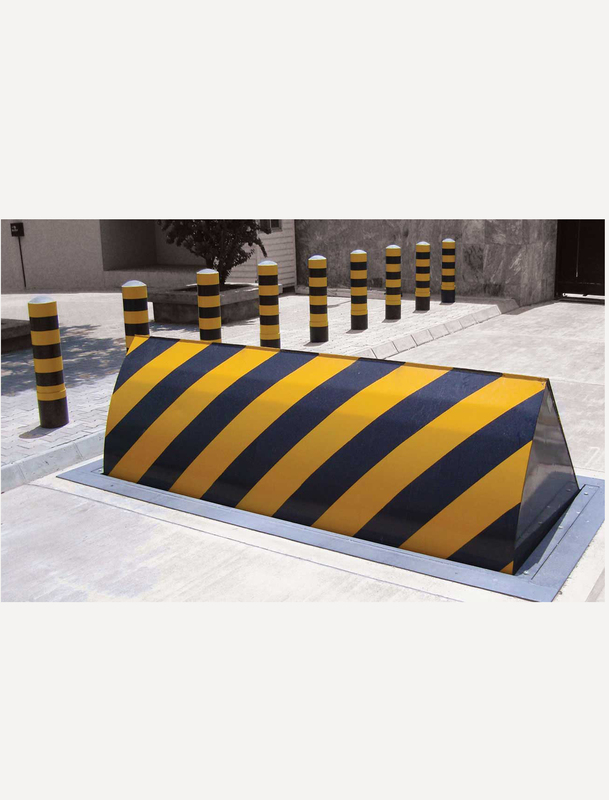 We offer a range of bollards that are perfect for storefront protection. Customisations is an option as well. Amart Sports in Castle Hill for example decided on true blue bollards to match their brand colour.